Using the networking I talked about in my last blog, Ive started to get some interesting research on where to go next. 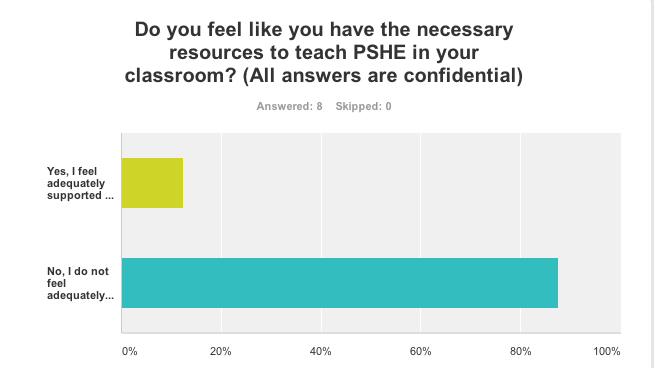 This survey, targeted specifically at teachers is currently being distributed around twitter, facebook and TES amongst other niche communities. 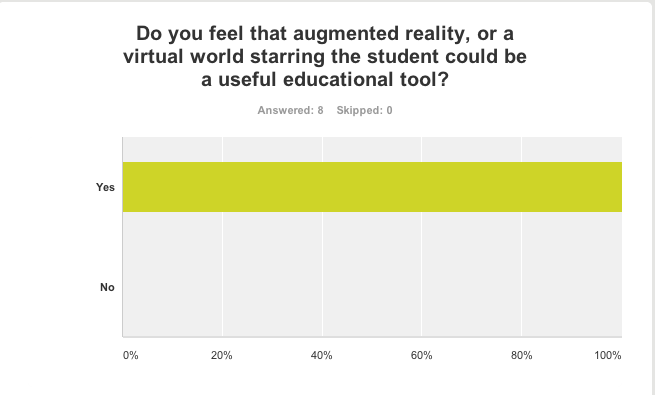 Here are the results I’ve had so far and some comments which stood out. 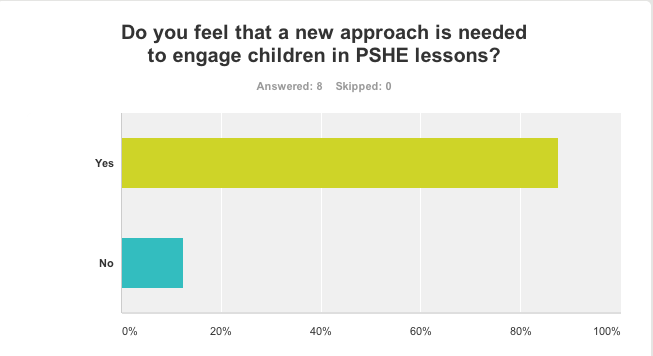 Do you consider PSHE to be an important part of a students education? I’ve previously come across a lot of worksheets…. the kids get bored, the teachers get bored, PSHE becomes sidelined. we need to incorporate life skills i.e money understanding, first aid. An element of where pupils could get involved would be relevant. This result surprised me. 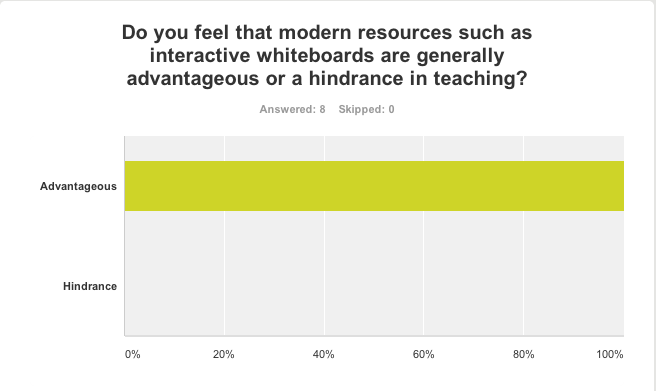 Teachers seem to approve off the introduction of modern resources. 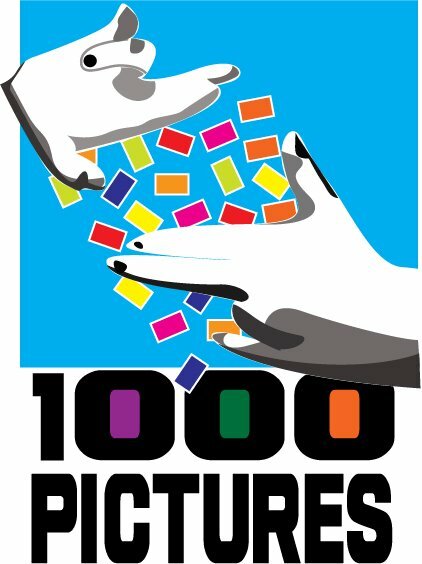 If used appropriately the IWBs can help to engage children with visual, active and auditory stimulus – however, they can also be used for dull powerpoints. The only issue with these can be monitoring the conversations/content within these worlds – Teachers aware of the risks of cyber bullying may avoid the use of this when pupils are able to type freely to one another. 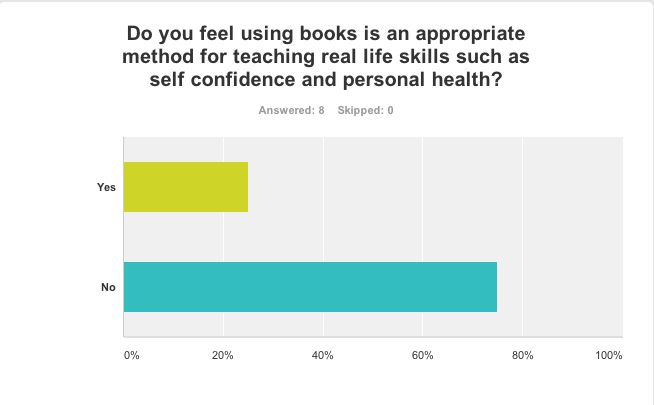 At the end of the survey I have a place for teachers to stay in contact throughout the rest of this research, As although I have had some noteworthy feedback such as the overwhelming approval of modern resources the respondents may feel more obliged to answer in a certain way with such a technique. 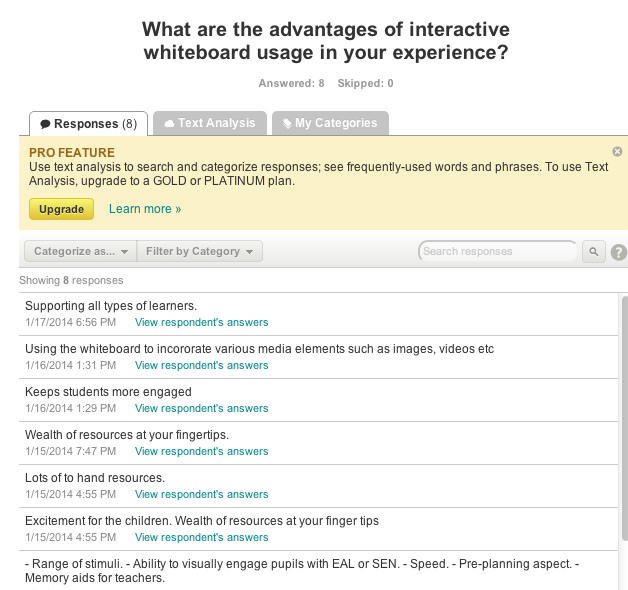 This entry was posted in Analysis, Placing your media production in context, Research and Development and tagged Classroom technology, How technology is used in the classroom, Pro's and con's of Interactive whiteboards, PSHE, PSHE aid, Resource for PSHE, Teaching aid.